The Parent Teacher Cooperative Club sponsored a Fall Family Night for the families of Sacred Heart of Jesus School in Norco. There was a space walk, lots of games, prizes, crafts, costumes, pizza, and trunk or treating….it was a fun night for all. Most of the game and craft booths were operated by Beta club officers and parents. 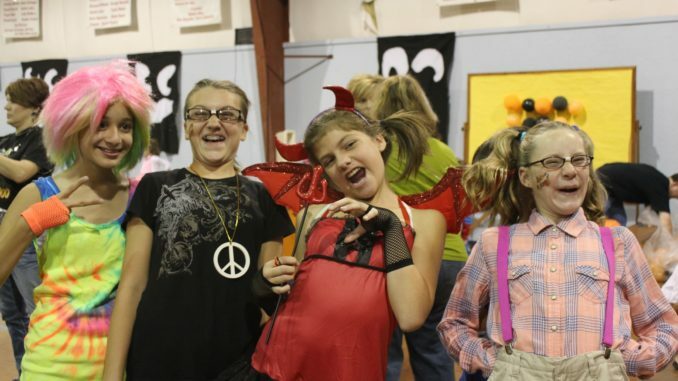 Pictured are Isabelle Gort, Shelbi St. Pierre, Sarah Solito and Mallory Brignac in their costumes during the event.